In all of the interviews that we were doing for Disney’s Beauty and the Beast, Josh Gad and Luke Evans were two that I was especially looking forward to because the contrast of their characters in the relationship between Gaston and LeFou is so perfect. I wish I could sit here and tell you spoiler after spoiler about his movie because it was so perfectly well made, but I will just say GO SEE IT! Take your family opening weekend because you will all love it. Josh Gad and Luke Evans were both perfectly cast for their roles and did a great job. Before our interviews, we had the opportunity to sit down and listen to a musical presentation by Alan Menken. Alan Menken is one of the Greats of the Disney family and it was an honor to hear him perform. At the end of the performance, he brought in two guys to sing his last song with. 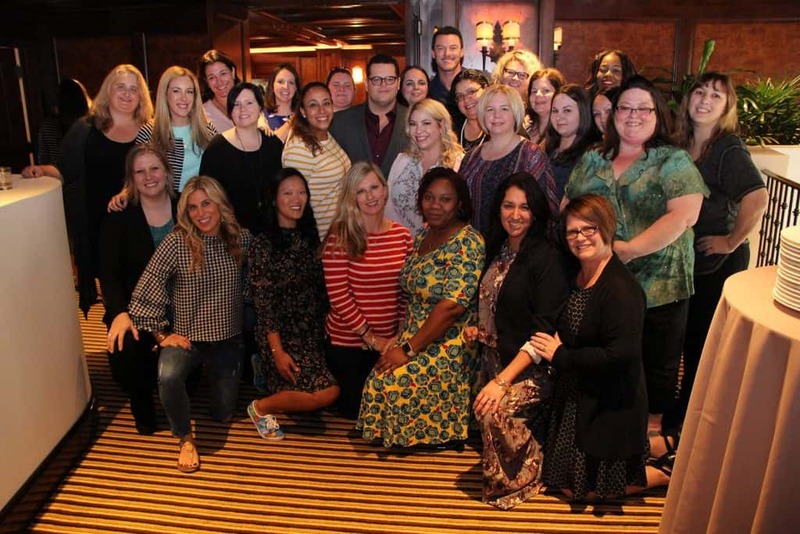 In walks JOSH GAD AND LUKE EVANS! Here is the fun Gaston perfomance by Alan, Menken, Josh Gad and Luke Evans. So. Much. Fun. This is the moment I knew this was going to be a fun interview! That was just the start to a lot of laughter and really a very fun interview. 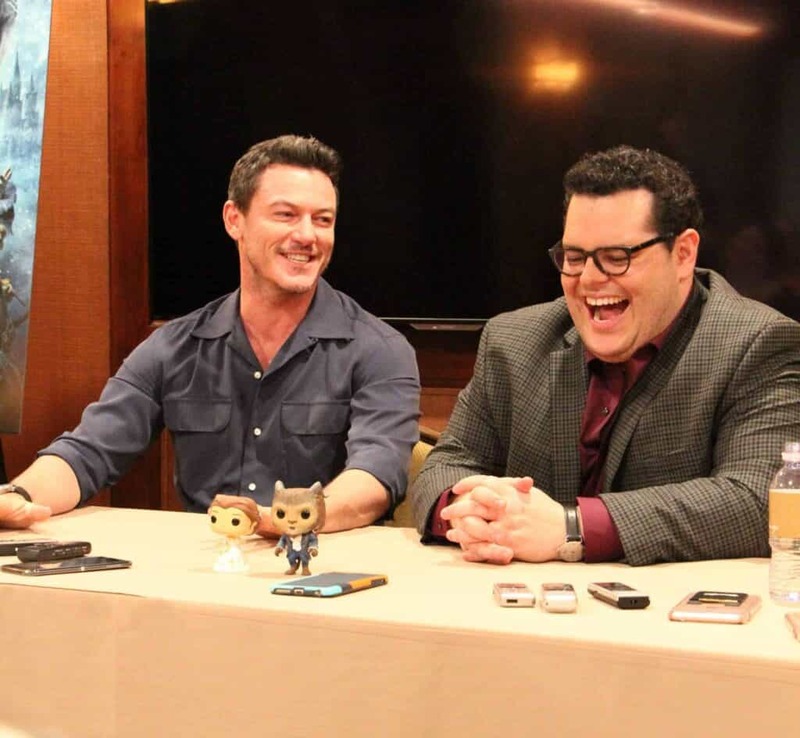 Luke Evans and Josh Gad were so much fun to interview and I could tell that they made sure that everyone had fun on set while making this movie. You could tell that they had a great friendship and had a lot of fun working together. Josh Gad is so much fun and really is very talented at what he does. 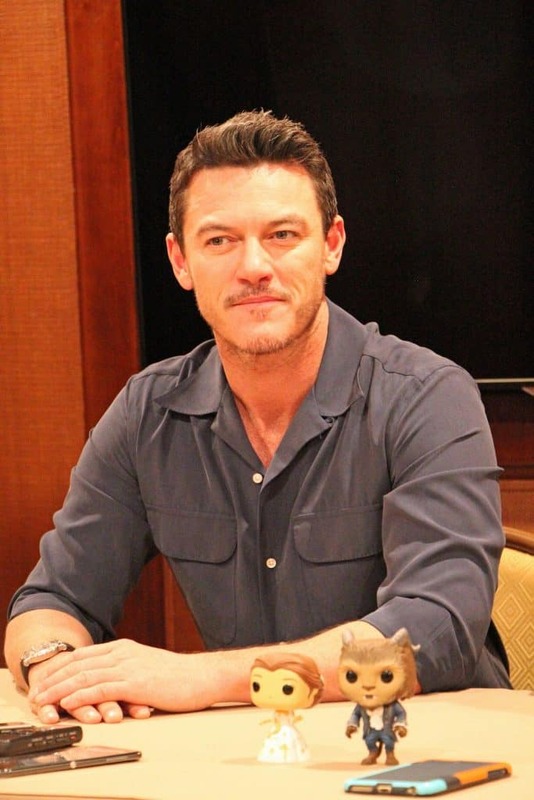 He talked about working with Luke Evans and said ” You are always hoping when you are paired with someone that you will have a chemistry and common goal.” He enjoyed working with Luke Evans and joked about how they loved breaking into song at anytime. 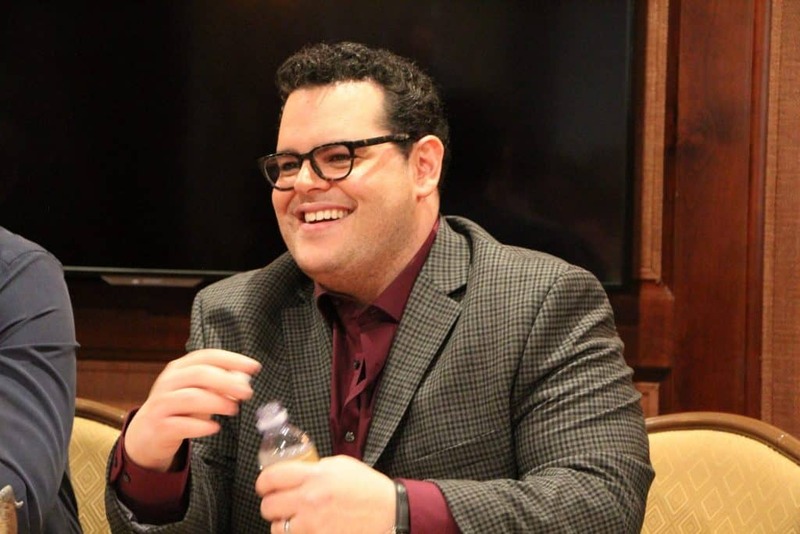 Josh Gad had many opportunities to add improv into the making of Beauty of the Beast. One of the times was during the Gaston song where he spells Gaston. He said that every time he sang this song, the ending was different. Josh Gad loved being a part of making a movie that did such a great job at building on a legacy while also giving more surprises. Josh Gad did a brilliant job at staying true to the character of LeFou and brought so much energy to the part. There are many great lessons you can learn from Beauty and the Beast. Some of the takeaways that Luke Evans and Josh Gad loved were that you should never judge a book by its cover and that Love conquers hate! They both loved having a strong woman character at the lead of this movie and praised Emma Watson for being a brilliant role model for kids. They loved being able to take people out of the world we live in and helping them to escape. I am so excited to take my kids to see this movie. 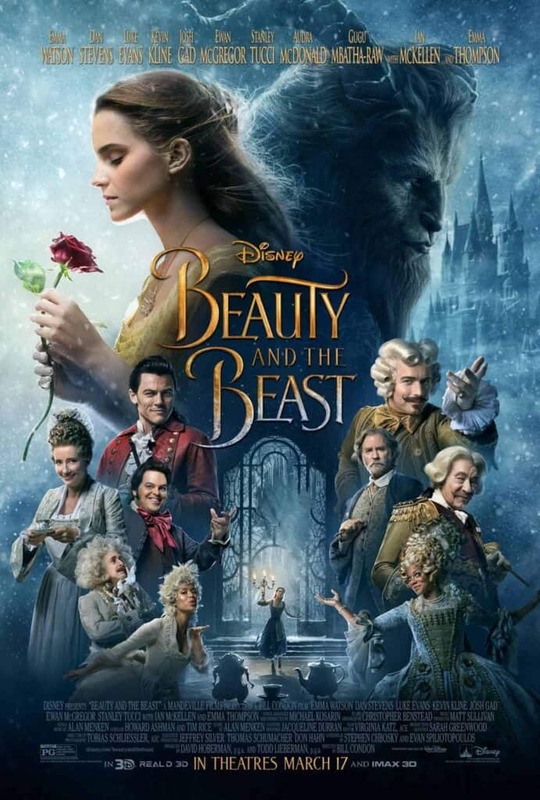 Disney’s Beauty and the Beast is in theaters March 17, 2017. Your whole family will love it!